Spotify is trialling a new shared subscription plan called Premium Duo, for giving two people access to Spotify Premium at a discounted price. According to The Verge, Premium Duo comes with a special Duo Mix playlist, based on both your listening habits – fantastic if you love your partner's music taste, though less so if you can't stand it. Premium Duo, which is being tested in "Colombia, Chile, Denmark, Ireland and Poland", costs €12.49 per month. This works out at around $14 / £10 / AU$20, which is a significant saving, considering a single Premium subscription costs $9.99 / £9.99 / AU$11.99. There's no word yet on when Spotify will roll out the new plan to other regions. Like a Family subscription plan, which allows for up to six people to share the same plan, you'll both need to live at the same address to set up a Premium Duo account. 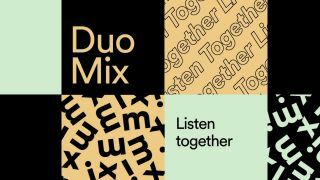 The Verge reports that, "once you’re both signed up, you’ll get access to Duo Mix, a new auto-generated playlist similar to Spotify’s existing Discover Weekly or Daily Mix playlists," which has 'Chill' and 'Upbeat' tracks that you can switch between depending on your mood. You can also share your own playlists with your Duo partner if you wish – or if they're full of guilty pleasures, you can still keep them to yourself.